Bartoletti, Susan Campbell. Black Potatoes: The Story of the Great Irish Famine, 1845-1850. Boston: Houghton Mifflin, 2001. This is part of the series on children's literature and genealogy. Ollhoff, Jim. DNA: Window to the Past. (Your Family Tree) Edina, Minn.: ABDO, 2011. This book on DNA and genealogy written for children was published less than a couple years ago, yet some of the information is far more dated than that, and some of it was somewhat inaccurate even then. The author addresses only Y-DNA and mtDNA testing and completely ignores autosomal testing which was being offered by all the major players in genetic genealogy testing by that time. The author made a statement about the "two types" of DNA tests saying that "one test is for males, and the other is for females." This statement is completely wrong for the latter. The mtDNA test is offered to both sexes although it will only test the direct maternal line. He later clarifies that it is "usually conducted on females." There is a high enough percentage of males doing mtDNA testing that it is also an inaccurate statement. Some of the photos used to illustrate the book were dated. One such photo was illustrating "current genealogy work on a home computer," yet the photo showed a CRT monitor with a very dated looking genealogy program. I do think that the author's chapter on "Famous DNA Discoveries" would engage young readers. His stories about Christopher Columbus, Captain Cook, and "Cheddar Man" would be useful to use with the young readers. I would, however, encourage the use of a different book or website to discuss the types of genetic tests offered, even if they are written for adults. Alling, Niki. The Roots of My Family Tree. Seattle, Wash.: CreateSpace, 2012. Bryant, Annie. Letters from the Heart. (Beacon Street Girls, no. 3). New York: Aladdin MIX, 2008. This is a part of the Friday series on children's books and genealogy. Endo, Shusaku. 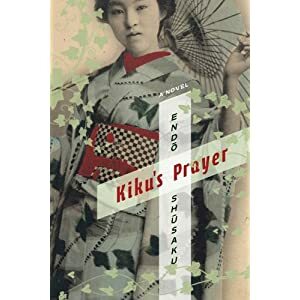 Kiku's Prayer: A Novel. New York: Columbia University Press, 2013. Klassen, Julie. 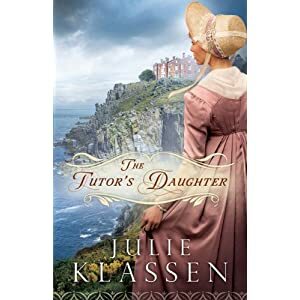 The Tutor's Daughter. Minneapolis: Bethany House, 2013.